Drama/History/Gainful, Poland, 2007, 126 min. Synopsis On 17 September 1939, a group of Polish officers and soldiers are imprisoned by the Soviet Army on the border of Poland. Anna and her daughter Nika travel from Krakow to meet her husband and officer Andrzej and they try to convince him to leave the soldiers and escape back home. However, Andrzej refuses to leave the troop and is deported to USSR. Later the Soviet tells that the Polish officers had been massacred by the Germans in the Katyn Forest with a shot on the back of the neck. 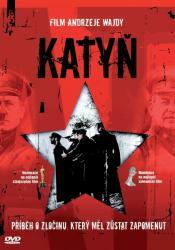 However Anna retrieves Andrzej's diary and discloses that the soldiers had been actually murdered by the Soviet Army.